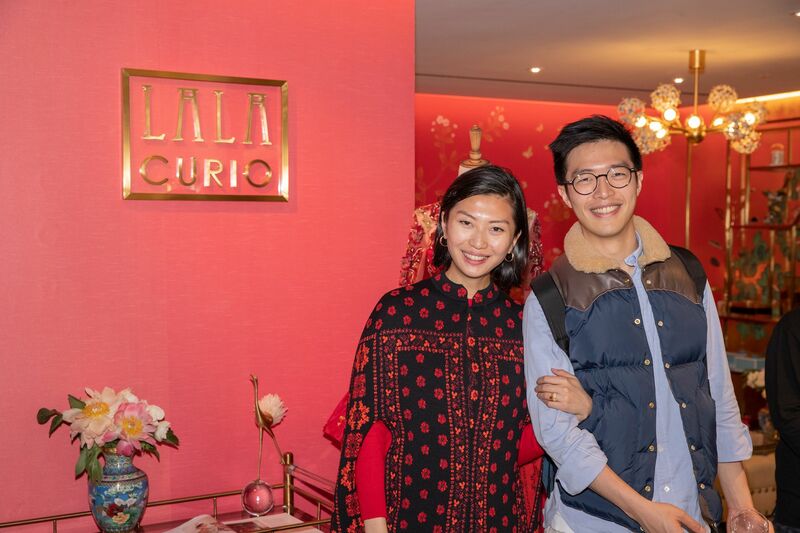 Colourliving, a one-stop lifestyle concept boutique located in the heart of Wan Chai was abuzz as family and friends of Laura Cheung, the founder of home décor brand Lala Curio toasted the launch of her new showroom. Among the familiar faces in the crowd were Esther Ma, Kim Robinson and Ivan Pun who admired Lala Curio’s colourful handcrafted wallpaper designs and many seized the opportunity to pose for photos with the dancers who were clad in butterfly headpieces—perfectly embodying Lala Curio’s vibrant, playful spirit. Kim Robinson Australian-born hairstylist to Asia’s A-list since he arrived in Hong Kong in the 1970s.